Wilson Kipsang, so vocal about his aspirations of setting a new world marathon record in Berlin on Sunday, made good on his quest with a 2:03:23, taking 15 seconds off the previous record set by Patrick Makau in Berlin two years ago. What barriers are in your path? What records can you break? Who will you inspire today? 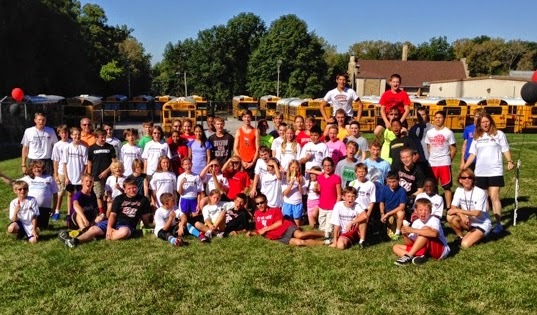 Thursday was a great day for our final day of cross country for 2013 and for our Fun Run with the Jefferson HS cross country team. Thanks to the Jefferson HS team for joining us and Way to Go Sunnyside Runners! Purdue Boilermaker Half marathon and 5K: 8 a.m. Oct. 19, Ross-Ade Stadium, 850 Steven Beering Drive, West Lafayette. Visitwww.purduehalf.com. Making Strides Against Breast Cancer Walk: 10 a.m. Oct. 19, Subaru of Indiana Automotive, 5500 Indiana 38 East. Visit makingstrides.acsevents.org. Halloween Hustle 5K/10K: 9 a.m Oct. 26, Covington City Park, 1 City Park Drive, Covington. Costumes are encouraged and kids 10 and younger are free. Download a registration form fromwww.facebook.com/halloweenhustle5k10k. GO WILD! 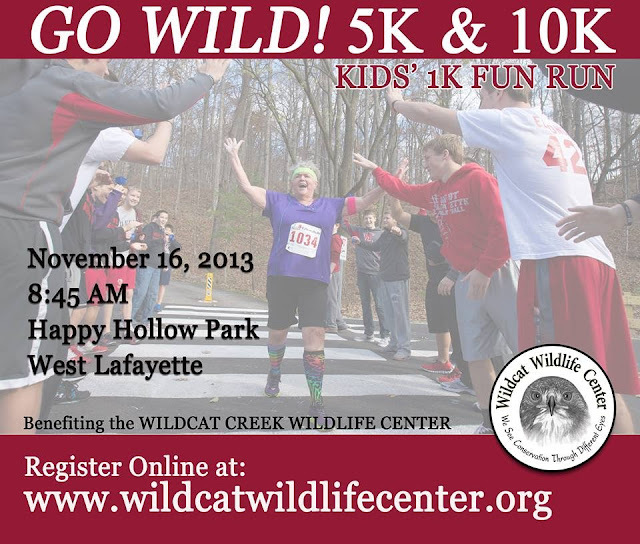 5K/10K and 1K Kids' Fun Run: 8:45 a.m. Nov. 16, Happy Hollow Park, 1301 Happy Hollow Road, West Lafayette. The kids’ run is at 8:45 a.m., the 10K is at 9 a.m. and the 5K is at 9:15 a.m. 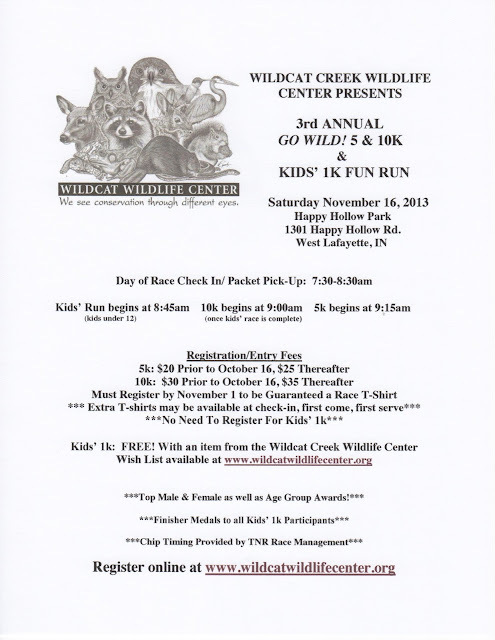 The races support the work of the Wildcat Creek Wildlife Center. Visit www.wildcatwildlifecenter.org. Adams Mill Covered Bridge Half Marathon and 2-Mile Run: 9 a.m. Sept. 28, Carroll County Community Center, 908 E. Columbia St., Flora. The 2-mile run starts at 9:15 a.m. Visit www.getmeregistered.com orwww.carrollcountycommunitycenter.com. SIA Track Attack 5K / 10 K: 8 p.m. (10K), 8:05 p.m. (5K) Sept. 28, SIA Recreation Center, 5500 Indiana 38 East. Onsite registration fee: 10K, $50; 5K, $30. Registration is from 7 to 7:45 p.m.
Running with the Lions 5K: 9:30 a.m. Sept. 28, Tippecanoe County Amphitheater, 4449 Indiana 43 North, West Lafayette. For more information, visit www.lionsclub5k.com. Carry the Torch Walk: 3 p.m. Sept. 29, Riehle Plaza in downtown Lafayette. Registration begins at 1 p.m. Resource booths will be available from 1-6 p.m. Purdue University's Cancer Culture and Community program and Community Cancer Network have organized the event. For more information or to donate or register, visit communitycancernetwork.org . Planet Adventure Wabash Heritage Trail Marathon: 8 a.m. Sept. 29, Tippecanoe Battlefield Museum, 200 Battleground Ave, Battle Ground. The event includes a marathon, half marathon and quarter marathon. Visit www.planetadventurerace.com. The Boilerman Triathlon: 9 a.m. Sept. 29, Raineybrook Lake, 1000 W. 500 South. The event is a 1.5K swim, 40K bike and 10K run. Parking is available at McCutcheon High School. Visithttp://web.ics.purdue.edu/~triclub/boilerman.html. Walk to End Alzheimer’s: noon Sept. 29, Cumberland Park at North Salisbury Street and Kalberer Road. Visit www.alz.org. 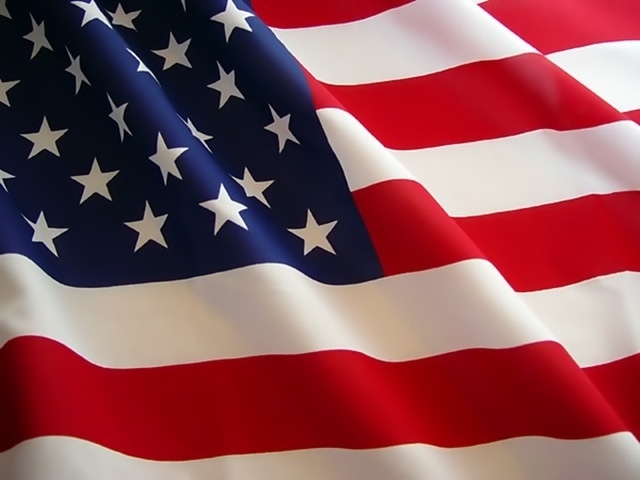 West Point Cadet Park 5K: 9 a.m. Oct. 5, Cadet Park 4799 Indiana 25 South, West Point. Register at 5k.westpointindiana.com. Paws N Sneakers Walk: 11 a.m. Oct. 5, SIA Recreation Center, 5500 Indiana 38 East at the east gate entrance. Registration is at 10 a.m. Entry fee is $20 for a walker with up to two dogs and $35 for a couple with up to four dogs. Visit www.lovingheartanimal shelter.org/walk. Tri-N-Run Fun Run: 6 p.m. Oct. 10 at Tri-N-Run, 13 N. Earl Ave. The 3-mile fun run loops around Murdock and Columbian parks and back to the store. Roamin’ In Yeoman: 1 p.m. Oct. 13, Hollow Acres Golf Center, 8291 U.S. 421, Monticello. The race is 4.45 miles. For more information and registration, visit www.hollowacres.com. NAMI Fall Classic: 2 p.m. Oct. 13, the former Lafayette Municipal Golf Course, 800 Golfview Road. The event is for mental illness advocacy and is a 2- or 4-mile walk/run. For more information, visitwww.onestoprace.com/search/event.aspx?id=21844. West Lafayette Farmers Market 5K: 6:30 p.m. Oct. 16 at Cumberland Park, in the farmers market location, in West Lafayette. The run is sponsored by the Wabash River Runners Club and is the third Wednesday of the month through October. Entry for non-members is $3 or join the club for $12 a year, $20 per couple or $25 per family. The J&C headline says it all. 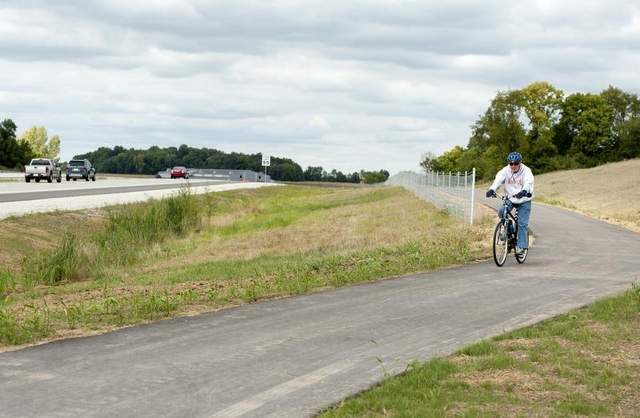 More paved trails with NO motorized traffic! Hooray! Now, let's get out there and log some miles. The J&C Online story can be found here. Nice work Amy and Thanks for sharing Donna. 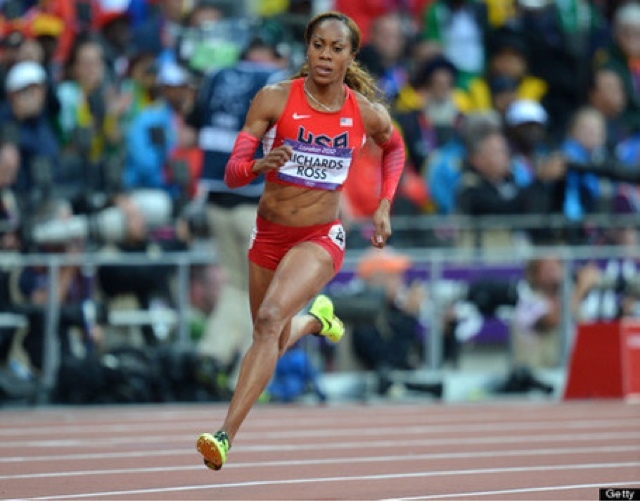 "We introduce young athletes to the joys of running and the benefits one can acquire through physical activity and conditioning. 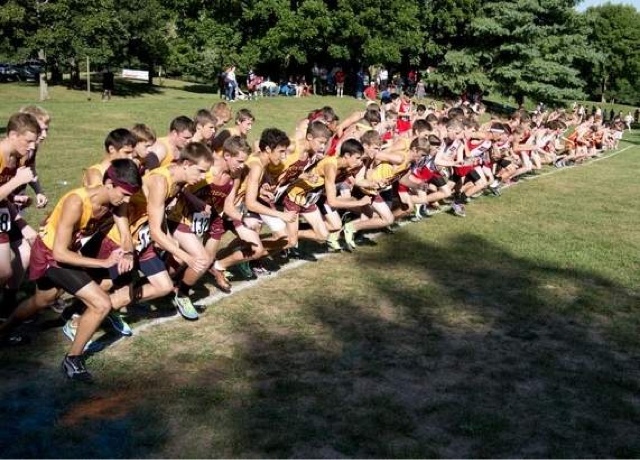 We emphasize improvement of the "individual" which is easily measured in the sport of cross country by timing certain distances early in the season and comparing those efforts 8 weeks later." "The Purdue Area Track Club (PATC) offers a cross country program for beginning and experienced age group runners. It will last from 6-8 weeks (12-16 sessions), depending on your availability and competition results." The call-out and first practice is Monday, September 30th. For more information and to register, go to the PATC website by clicking here. 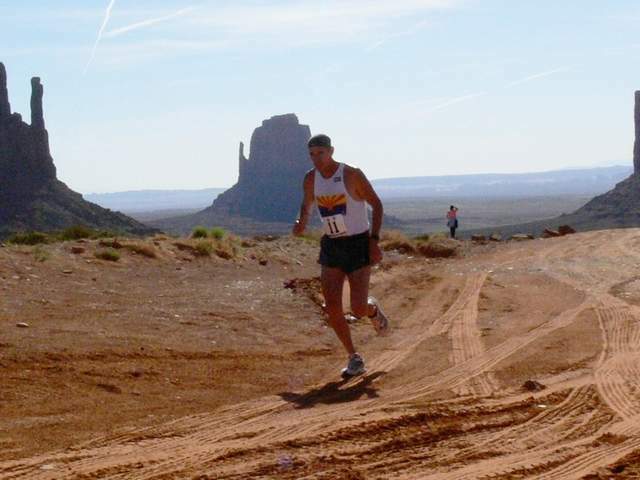 Soon after retiring from a 26-year career as an elementary school physical education teacher in Arizona, Lafayette native and avid distance runner Bill Wright told his sister-in-law that he was planning a vacation. He would run 5K races in Georgia, Alabama and South Carolina. "She said, 'Are you trying to run a race in every state?' and I said no," said Wright, 59, a 1972 Lafayette Jeff grad and a 1976 Purdue graduate. "I had never thought about it. At that point, I had run at least one race in 18 states. Then I decided to do the other 32." Thanks for the great story Jeff and JCOnline. And, way to go, Bill! What inspiration. 1) Have a goal and stick to it, no matter how long it takes. 2) Age is relative; you're only as old as you let yourself believe. Thanks for the great example, Bill. Official Training Partner of the GO WILD! 5K &10K RACES. 5K 6 Weeks October 6th. For anyone thinking of challenging themselves to their first or their next 5K or 10K event, the GO WILD! Races are terrific local events that are dedicating to supporting the great work of the Wildcat Creek Wildlife Center. For more information on the GO WILD! 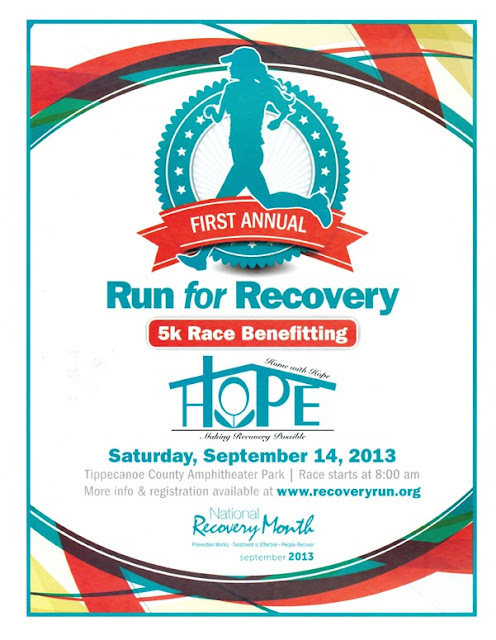 Races, see the flyer below and click HERE to register. For more information on Training and to register, click HERE. 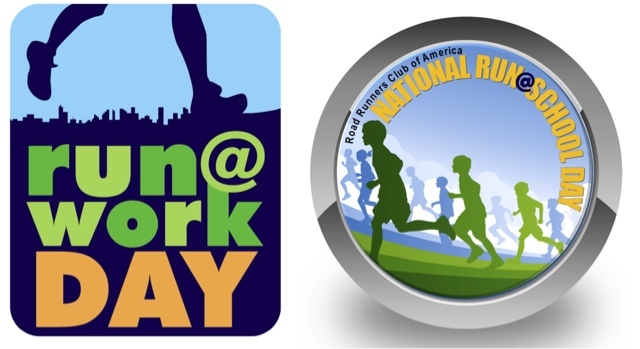 On September 20, 2013 the Road Runners Club of America will promote the 8th Annual RUN@WORK Day and the 2nd Annual RUN@School Day, nationwide fitness efforts. Company-based wellness programs, human resources departments, running clubs, running events, running shoe stores, teachers, coaches parents, and individuals nationwide are encouraged to plan fun runs and walks around the country with their employers or at local schools. The goal of RUN@WORK Day and RUN@School Day, presented by the Road Runners Club of America, is to encourage adults and children to get 30-minutes of exercise each day, in accordance with the Physical Activity Guidelines for Americans, either before work/school, during lunch, or immediately following work/school. RUN@WORK Day also encourages companies to help employees schedule time for physical activity. Incorporating exercise into one’s daily routine can markedly improve one’s overall physical health. 100 years ago today, one of the greatest athletes ever was born. We should never forget, of his many accomplishments, his grace, talent and the sheer force of will he demonstrated at the 1936 Olympics hosted by Hitler's Germany. When you see what he accomplished, never let anyone (especially that little voice inside of you) say that it's just to hard to try or that the odds are stacked against you so why even try. Just a few simple habits can make the difference between a fit person and a couch potato, an everyday worker and the outrageously successful. That's because those simple habits work. 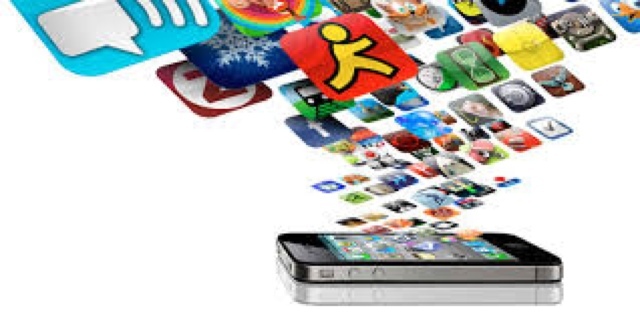 Which running app can help you? At this blog, a runner explores some of the apps she's used and asks for feedback on other's experiences. Start time is 8am at The Trails banquet facility. A Great Local Event for a Great Local Cause! Just heard that #Purdue professor Bryce Carlson met his goal to run four 100-mile races in 14 weeks. I talked to him for @jconline in May. Carlson was 1 of 14 people to finish the Midwest Grand Slam of ultra running. He placed 4th. If your up for a totally different type of "running" event, checkout Campus Carnage at Purdue. The event is set for September 20th from 4-7pm. More information can be found here. Don't say I didn't warn you! After coming off a big double win at the Western Invitational on Saturday, the West Lafayette boys and girls cross country teams kept the momentum going by sweeping to comfortable victories in the City/County meet at the Tippecanoe Amphitheater Tuesday evening. Third-ranked West Lafayette occupied the first six places in the girls race for a perfect score of 15 points to runner-up Harrison’s 53. West Side’s Delaney Barber led the Red Devil pack with a time of 20:12. The Red Devil boys were nearly as impressive. Evan Johnson, Dominic Patacsil, Cooper Williams and Jake Cohen essentially ran across the finish line at the same time (17:04), but Johnson was awarded first place. Active.com delivers a great refresher article on Nutrition and Hydration tips for Young Athletes. Encouraging kids to eat healthy is important, but proper nutrition is even more essential for young athletes. Athletes should build balanced plates," says Katie Jeffrey, MS, RD, CSSD, a registered dietitian, in Stonington, Connecticut. "About 50 to 60 percent of their plate should be composed of carbohydrates such as whole-wheat pasta, bread, quinoa, brown rice or a sweet or baked potato. Twenty-five to 30 percent of the plate should be non-starchy vegetables such as lettuce, greens, cabbage, broccoli and carrots. The remaining 15 to 20 percent should be filled with lean protein such as chicken, turkey, eggs, beans, tofu, nuts, seeds or lean cuts of red meat or pork."